The U.S. Supreme Court’s 6-3 ruling in favor of American Broadcasting Company in ABC v. Aereo effectively struck down the web-based streaming service’s business plan for capturing and rebroadcasting television content to its subscribers. The court ruled that this model amounted to a violation of the broadcasters’ content copyrights. This issue argued by ABC was that Aereo, and other streaming services like it, cut into the revenue stream the broadcasters were receiving from cable operators and satellite services to rebroadcast their content. Aereo captures and rebroadcasts content to its subscribers without paying a licensing fee. Aereo contended that it was merely allowing viewers to store over-the-air television content so that it could be viewed on their mobile devices rather than a television set. Drexel entertainment management professor Philip Salas notes that this case has historic ramifications as significant as Sony Corp. of America v. Universal Studios-also known as “the Betamax case”- and 20th Century Fox v. Cablevision –rulings that set current standards for recording and rebroadcasting television content. Philip Salas, an assistant professor in Westphal College, draws on more than 30 years of television industry experience and research. Salas, an assistant professor in the Antoinette Westphal College of Media Arts & Design, is available to address what this ruling means for the television industry, streaming services and television consumers going forward. 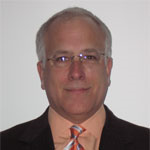 Salas has more than 30 years of experience in television research, sales and sales management. He spent 14 years at Philadelphia’s CBS-owned and operated stations as research director and in sales management positions. Salas was also part of the team that established the first market-wide unified cable sales interconnect in Philadelphia.